Did Tom Brady vote for Donald Trump? Donald Trump read aloud a letter that he said was from Patriots coach Bill Belichick during a stop Monday in Manchester, N.H.
Update: Tom Brady cast his ballot Monday at Brookline Town Hall. 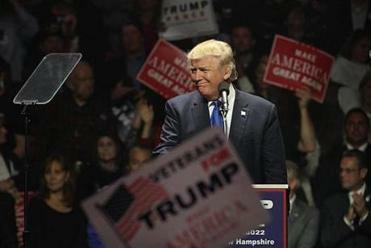 Donald Trump, perhaps looking to sway some last-minute New England fans, told a raucous crowd in New Hampshire Monday that Tom Brady called the GOP nominee to say he had voted for him. However, in an interview on Kirk & Callahan this morning, Brady said he had not voted yet. 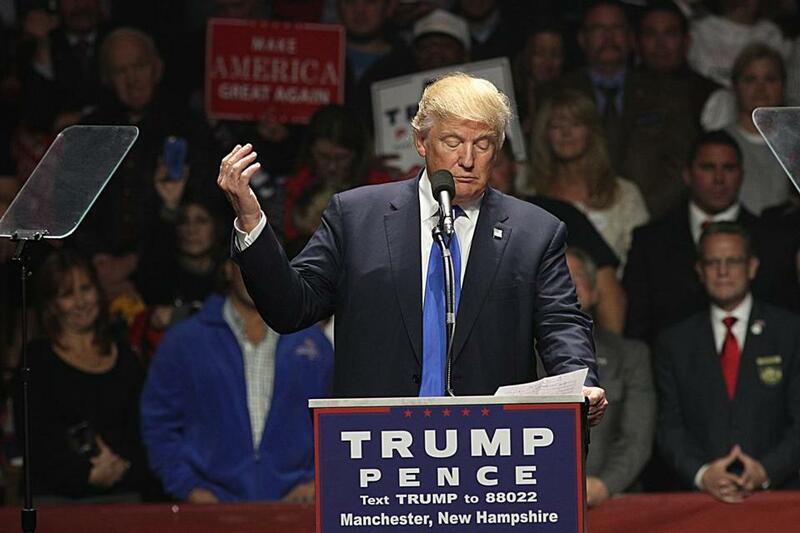 Trump read what appeared to be the whole letter’s contents on the stage in Manchester, N.H.
“No, I haven’t voted yet,” he said on the show. Early voting ended in Massachusetts on Friday, but the deadline to apply for absentee ballots in the state was Monday at noon. Brady and the hosts also discussed watching the Monday Night Football game between the Buffalo Bills and the Seattle Seahawks, referring to the game as “tonight,” which would suggest the interview was recorded on Monday. Brady has been notably quiet about the election, at one point even walking away from reporters when asked about it. Trump also read aloud from a letter that he said was from Patriots coach Bill Belichick. A Patriots spokesman said Brady and Belichick did not respond to requests for comment. Trump’s announcement sent the arena into a gleeful uproar, as people waved Trump signs high into the air, and screamed with approval. But as people filed out of the building and headed toward the exits, many said while they welcomed the news, Trump’s claims of the endorsements likely won’t make much of a difference — because in their eyes, Trump was already going to win. Lisa Ross said she was glad about the announcement, but felt people were likely already decided in this election. “Did it get the crowd fired up? Yes. But I think at this point people already know who they’re voting for,” she said as she left the venue. Maria Bertolaccini, Ross’s friend, agreed. “He’s going to win,” she said, adding that she wasn’t surprised that Brady would allegedly vote Trump. Tony Piro said he was excited about the announcement, but fears Brady will get pounced on for getting allegedly involved in the election. Still, he hoped it would help. ”The country is going to hell — getting weaker all the time,” he said, something only Trump could fix. Ben Volin of the Globe Staff contributed to this report.